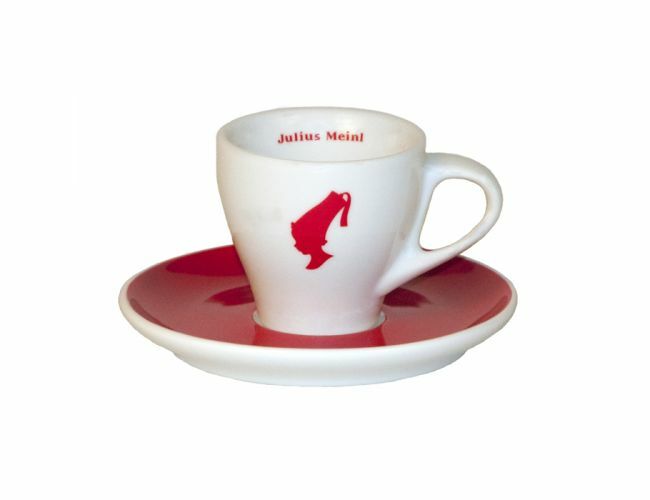 A ceramic single espresso cup from Julius Meinl, including a saucer, with the classical red Julius Meinl coffee boy logo imprinted. Perfect to enjoy a classical Vienna Melange coffee or a double espresso. Red saucer.